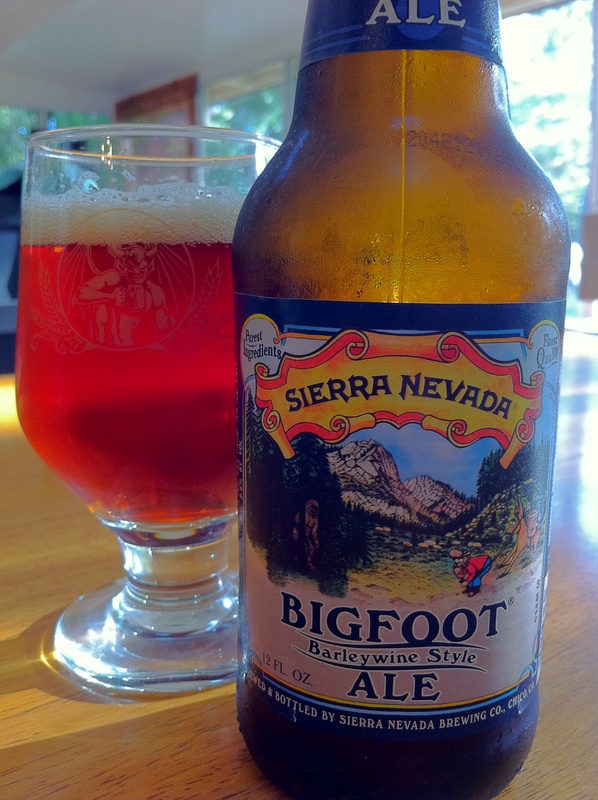 With a name like “Bigfoot” I expected a big looking beer…but that’s not quite the case. It pours an amber/burgundy color with a manilla head. The head starts at about an inch of bubbly foam, that eventually fades away. I didn’t realize how many IBUs (International Bittering Units) were present in Bigfoot, but I wouldn’t have been surprised after smelling this beer. Pine comes through first and stays for the duration. Slight hints of grapefruit are also present and blend with the pine. There are also hints of doughnut dough and rye whiskey. A paint thinner smell appears as it opens up with a big booziness coming as it nears room temperature. The specs on this beer should prepare you for the big boozy bite that hits you right out of the bottle. It starts with rye whiskey, then some mellow pine with a touch of floral hops comes through, followed by a sweetened doughy flavor. Drinking this beer made me picture myself eating donuts while sipping some whiskey. A touch of charred wood pops up at the backend, but doesn’t impart too much flavor. As one may suspect, the mouthfeel is medium and sticky. The carbonation and high ABV can both be felt in each sip. Lacing is left on both the glass and your gums. 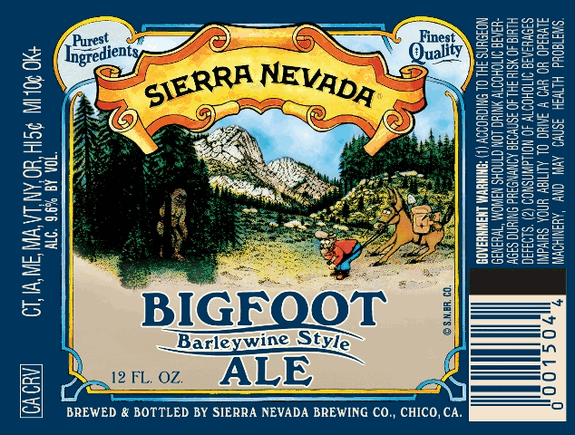 Bigfoot Barleywine is a big beer, but thankfully it’s not without flavor. One of the better American Barleywines and also one of the most accessible (in both taste and availability). I can see why people like this beer so much.